In Peru, Envol Vert is opening up new horizons in the field of productive reforestation. This year we will team up with the franco-peruvian company Forestera to join in the development of an organic cocoa plantation using agroforestry and based in the community of Ishichihui. Located in a region where intensive farming (cocoa, livestock, corn) dominates the landscape and destroys ecosystems, the plantation will use an agricultural model combining a cash crop with a varied reforestation. This model is particularly suited to the salvaging of damaged soil and providing the type of environment required to produce fine, higher added value, “fino de aroma” cocoa. A terme, la plantation se veut modèle. Un programme de formation complet élaboré conjointement par les deux équipes et composé de 26 thématiques agronomiques, sociales et environnementales a débuté en Août dernier. Each week Forestera provides a half day of training to employees and the residents of Ishichihui who have chosen to take part. This is a voluntary initiative for the region’s producers wishing to improve both their agricultural knowledge and cocoa quality and also for young jobless locals an opportunity to obtain a qualification upon completion of the first semester. In the long run, if the local community take ownership of this initiative, it should lead to a progressive reforestation of the region coupled with an improved quality of life. It is in fact the local authorities, surrounding agricultural practices and most of the residents who are suffering from the daily consumption of the local environment. Only a reforestation of the river basin, coupled with an end to the practices of slash and burn and monoculture in direct sunlight can lead to a sustainable solution. It remains to be seen if the training programme bears some fruit and encourages the local population to reforest their land plots to produce organic cocoa. Because yes! The forest protects and enhances the quality of the cocoa, the water and our environment…it’s time to give something ! 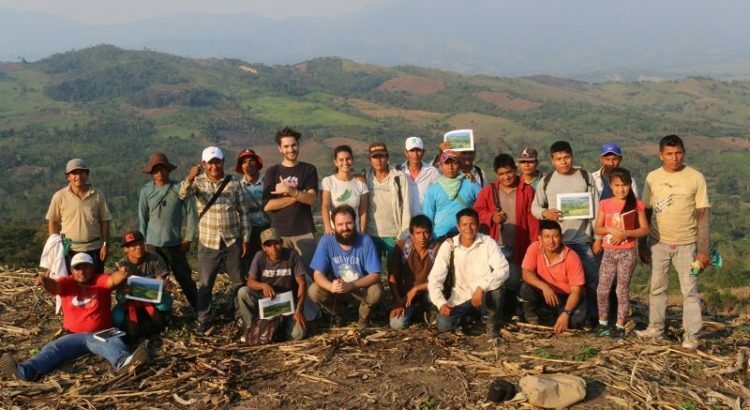 It’s against this background that Envol Vert actively participates in the coordination between Forestera and the local community through workshops, but also by choosing training topics which resonate with local needs and use dynamic learning methods. Long term, it’s about Envol Vert and the community identifying and implementing economic alternatives to deforestation. This goal can only be achieved by raising awareness across all project participants, children and adults, to deliver an effective improvement in quality of life. Envol Vert will join in the launch of this initiative until June 2019, the project will continue over many years and represents a series of challenges to be met.